Our range of perimeter machine guarding are Heavy, Strong, Basic, ADAPTA and Green Fast and all have different characteristics that may be more suitable to you than others. 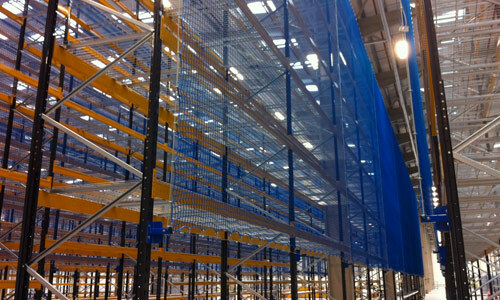 All systems offer more efficient installation times compared with traditional guarding systems. 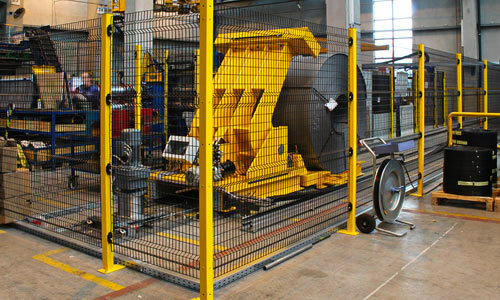 Discover our range of heavy machine guarding. Protection and accident prevention system consisting of 60×60 uprights and 30×30 panels with frames connected by Satech patented fast assembly clamps. This series is used in heavier applications such as industrial robotics or the steel industry. Discover our range of strong machine guarding. Protection and accident prevention system consisting of 60×60 uprights and 20×20 panels with frames connected by Satech patented fast assembly clamps. This series is used in heavier applications such as industrial robotics or the steel industry. Discover our range of basic machine guarding. A perimeter protection system designed to prevent accidents - consisting of uprights 40mm x 40mm and panels with frames 20mm x 20mm that are connected by screws & fast-assembly clips patented by SATECH. Discover our range of adapta machine guarding. The new modular ADAPTA system combines both the practicality of the MDF system and the robustness of the STRONG system. It is an ideal solution where there is a high risk of mechanical impact. It can also be installed quickly and can be adapted to the environment by being easly cut to size & shape. Discover our range of green fast machine guarding. The Green Fast protection system is designed to simultaneously achieve easy and fast assembly, strength, and wide range of height adjustment – all at low cost. In the Green Fast protection system panels are fastened to the floor and each other by means of two patented connection components, upper and lower. SYSTEM IS BEST FOR YOUR BUSINESS? GET A BETTER IDEA WITH THE PRODUCT SELECTOR. How can Machine Guarding protect your business? 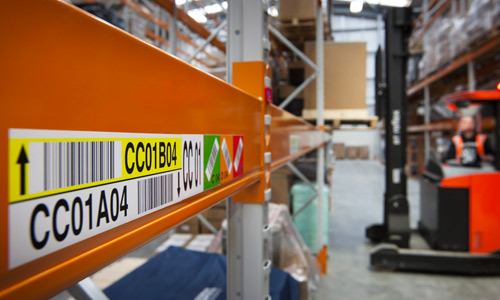 Warehouse Partners has a complete range of modular perimeter machine guarding systems that offer more efficient installation times compared with traditional guarding systems. All systems are manufactured to meet and comply with the updated European Machinery Directive (2006/42/CE) on machine guards. Within our range of 6 guarding systems we have the capability to meet any perimeter machine guarding requirement. 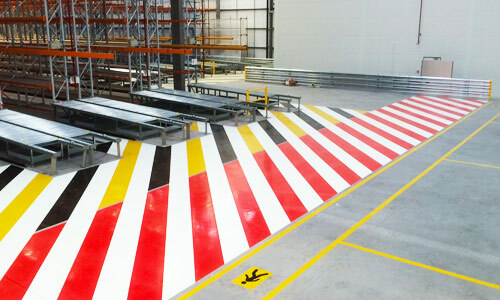 Dependent on your working environment we can support your operation by helping you to select the most appropriate type of guarding from our range.